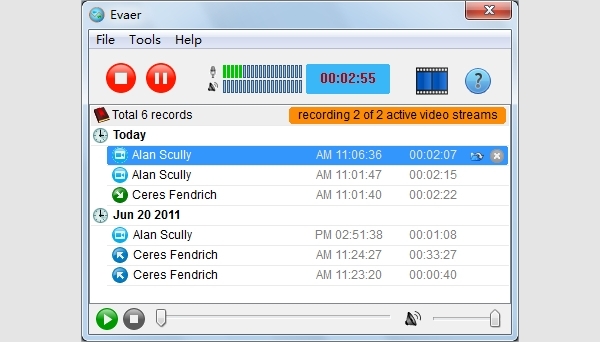 Video-call-recorder softwares are powerful and handy tools when it comes to recording calls of most popular messengers like Skype, Yahoo Messenger, Facetime etc. These softwares are capable of doing both audio and video recording of live chat sessions. They also give you the option of editing videos, adding subtitles to any video, sharing of videos and saving each video recording separately and much more. With video call recording software one can record crystal clear quality videos and save them for later use. 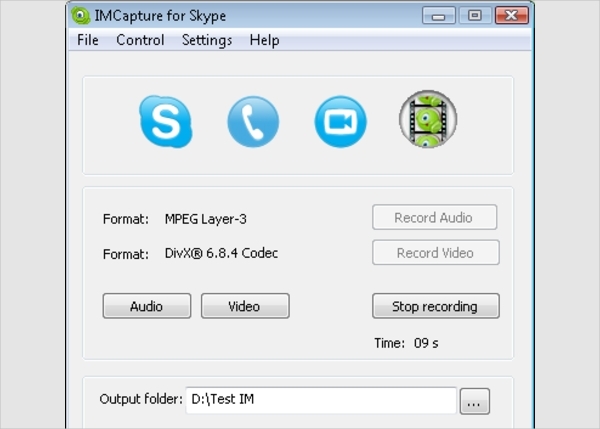 Claimed to be the first video recording software for Skype in the world this is a freeware loaded with amazing features such as high-quality video as well as audio recording, options like ‘pause video’ while recording, picture-in picture recording, recording of live broadcast etc are available to meet your video-call-recording requirements. 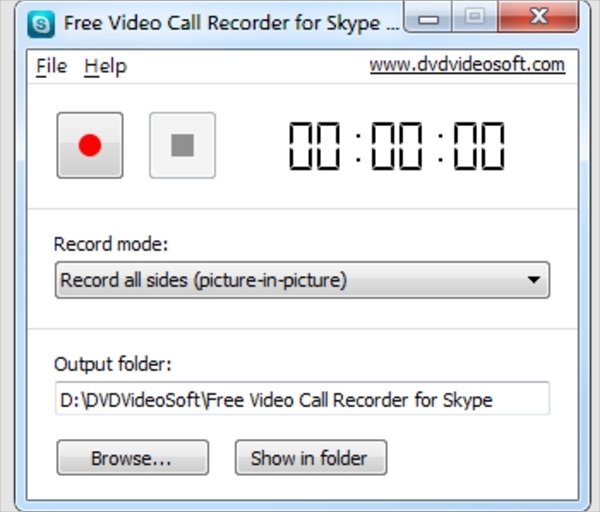 The Skype video call recording software free download is easily available online. The software is known for its excellent quality of video call recording in Skype. The software offers some powerful features such as high quality audio and video recording, capable of recording single video calls, sessions of screen sharing, saves recordings as separate files directly on computer’s hard disk, different modes for recording available and much more. One can also preview the video during the video call recording. The software is a complete solution to your Skype recording and chatting needs. The software offers features such as audio/video recording of Skype calls in high quality, simple to use, supports latest Skype version, etc. The software also serves other purposes such as saving and managing of Skype video messages and voice calls. 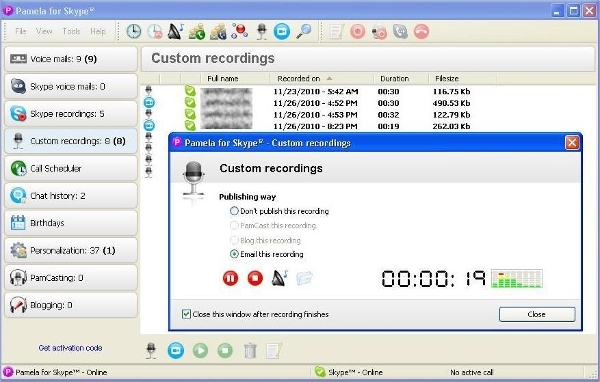 Completely free software, Pamela for Skype is simple yet powerful software with features such as call recording, video recording, option for mono/stereo recording, recording of calls automatically or as preferred by the user, schedule Skype calls. Chat recording and much more. The interactive yet simple interface lets you make full use of software’s features. Exclusively designed for Windows operating system, the software is loaded with useful features such as crystal clear recording of video calls on Skype, saving video into formats like MP4/ WMV for making it easy to share video with others, editing console for post-production that lets you edit video in split-screen mode and much more. 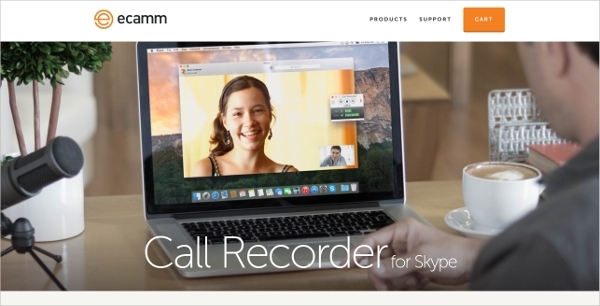 Ecamm is software that enables video call recording in Skype. 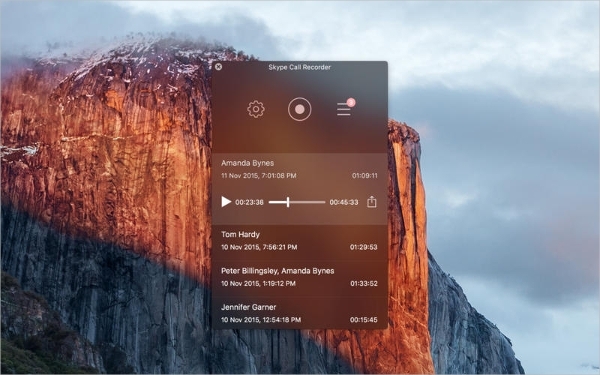 Exclusively designed for MAC operating system, the software has distinctive features such as high quality recording of Skype audio as well as video calls directly to MAC, One can put recording on autonomous mode or handle it manually through ‘record’ and stop buttons available. The software has a trial version to test its features before purchasing it. This Skype video call recording hot software is loaded with amazing features such as stunning audio/video recording quality, record calls in formats like MP4 or AVI making them easy to share, one record audio as separate MP3 files, and records videos directly to the hard disk. UI is simple and user friendly. 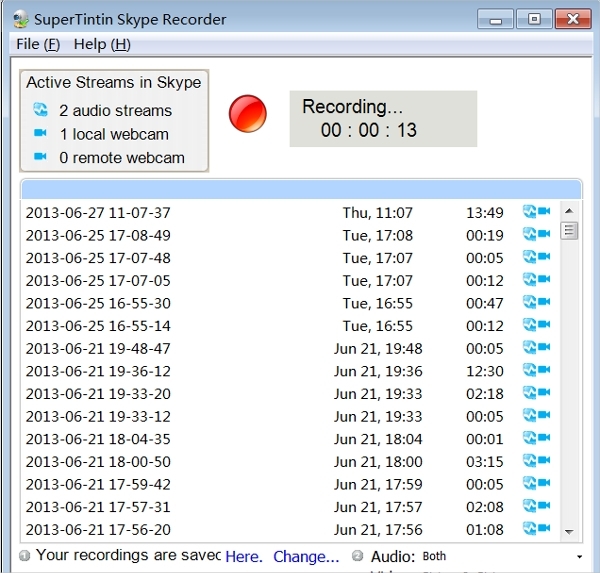 The software is claimed to be advanced Skype video call recording software available for free download. The software has exclusive features such as audio as well as video recording, easy recording and playback option, offers highest quality recording, records video in various modes such as picture-in-picture, remote-only, side by side, local or only-mode etc. Video-Call-Recorders are softwares that help you record video calls on popular messengers like Skype, Yahoo Messenger, Facetime etc. These softwares let you record the audio and video of live chat sessions and save them for personal as well as business use. The softwares come with amazing features like crystal clear audio/video recording, picture-in -picture recording, saving recording to popular file formats such as AVI/MP4 etc for making file sharing easier, it saves screen sharing sessions during live chat, can create photos through snapshot option while recording, performs recording on user defined settings like record video only, record audio only etc, the softwares do not only give stunning quality recording of Skype videos but also manages your messenger with facilities like schedule recording, saving messages, saving voice messages and much more. These video-call-recording softwares can be used for both personal and business purposes. One can record personal chat conversation or record interviews, conferences or other business related activities. How to Install Video-Call-Recorders Software? Installing any video call recording softwares listed above is very simple. The free download is easily available online that require few simple steps to be install to your computer. One need to click on the ‘Download’ link, the software will be downloaded in few minutes, then one can open the software from the folder where the software setup has been saved and the software will be ready for use. Most of the software’s icon is displayed on the desktop once the download is complete for easy access. Many video-call-recording types of software come with either complete free download or a trial version. The trial version usually expires after a limited period and then you need to purchase the software for further use. 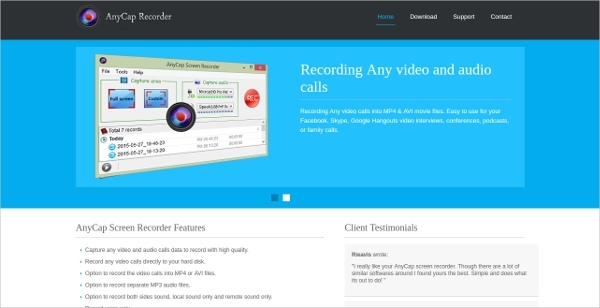 Why you Need Video -Call-Recorders Software? The video-call-recording softwares are best for recording video calls while chatting via messengers like Skype, Yahoo Messenger etc. These have been designed to give you a high-quality recording of live chat sessions. The softwares are capable of multi-tasking where they do not only record video calls but also manage your messenger’s tasks like scheduled recording, saving voice messages etc. The video-call-recording softwares are appropriate for personal as well as business use. One can record personal chats, video calls, audio calls, saves files shared during a chat etc and record interviews, conference calls, group chats etc for using it for business purposes. 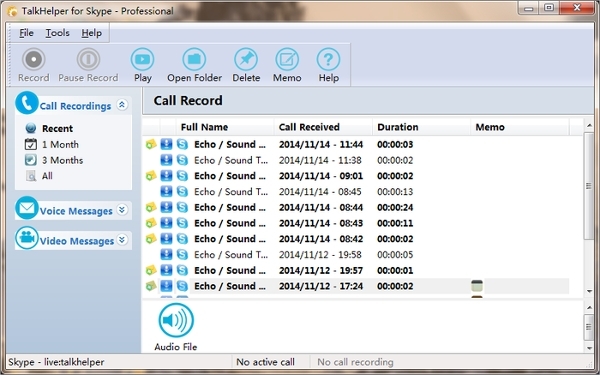 Video-call-recording software saves recordings in file formats like AVI/MP4 etc and can save audio files in MP3 format. The softwares can be put into an automatic mode for recording video calls or one can handle recording manually through ‘record’, ‘pause’ and ‘stop’ buttons. One can also share these recording with other easily as the files recorded are saved directly to your computer’s hard drive in popular file formats making them feasible for sharing. The software is best compatible with Windows operating system. The software has exclusive features such as stunning video and audio recording quality, an editing console to give you full freedom to edit audio and video calls according to your needs, formats used for saving recorded files include MP4/WMV for sharing to other easily, lets you add subtitles to any recorded video and have many other features to explore. As the name suggest the software is completely free for android operating system. 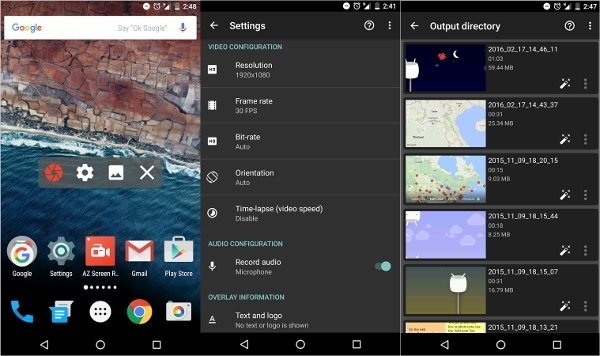 The software has some useful features such as picture-in-picture recording, recording options like ‘only video of other sides’, ‘only audio of both sides’, ‘pause’ recording’ etc, the CPU requirements are low therefore it does not slow down your phone and has user-friendly and simple interface. Especially designed for MAC operating system this software lets you record video calls made on Skype messenger and offers useful features such as ‘start’ and ‘stop’ buttons for handling the recording, saving files directly to computer’s hard drive, record audio files separately in Mp3 mode and much more to facilitate high-quality video-call-recording. Some more amazing softwares to facilitate video-call recording include Debut Video Capture, Movavi, CamStudio, TinyTake, Weeny Free Video Recorder, Webinaria, Rylstim Screen Recorder and Screenr, Ezvid. These softwares are loaded with amazing video recording features to give you high-quality audio as well as video recording. These softwares are easily available online for free download. Evaer is the most popular video-call-recording software of 2016 as it has some amazing features to offer. The exclusive features of this software include a high-quality recording of both audio and video calls, recording of screen sharing sessions available, have options like picture-in-picture recording, audio-only, side-by-side, remote-webcam-only and much more to facilitate recording easily.